With a bag full of oranges and lemons sitting in the pantry crying out to be used and my mothers birthday looming the obvious choice was a citrus drizzle cake. Obvious? Why? Well, that’s simple, they are my mother’s favourite cake and there had been subtle hints dropped that Bill Granger’s Lemon Pound Cake would be the ideal. Drizzle cakes are a traditional British favourite and a cake you will find in most tea rooms over the country. They are it has to be said, perfect for afternoon tea. When choosing citrus fruits look for ones that are fragrant with brightly coloured oily skins. If you can I would advise you buy organic. The best fruits have firm flesh, are plump, and heavy for their size. Taking heed of the subtle and not so subtle hinting going on I decided to stick with the basic recipe from the Lemon Pound Cake but just take a little risk and add some orange flavours too, oh and I baked the cakes in individual portions too. 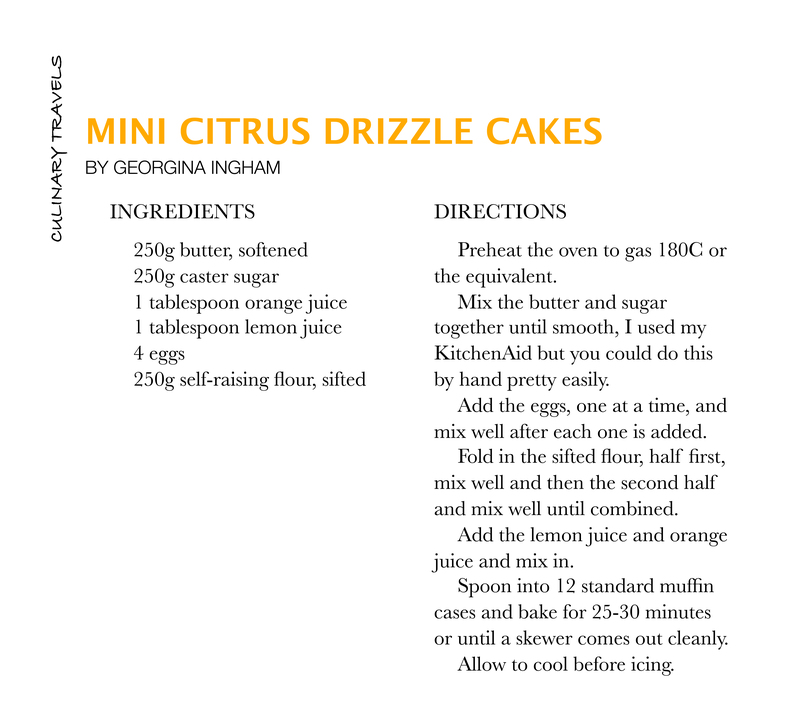 These citrus drizzle cakes are sweet and buttery, having a moist yet dense texture somewhat reminiscent of a Madeira cake. As the name implies, these lovely cakes have a tangy citrus flavour that comes from adding both lemon juice and orange juice to the cake. 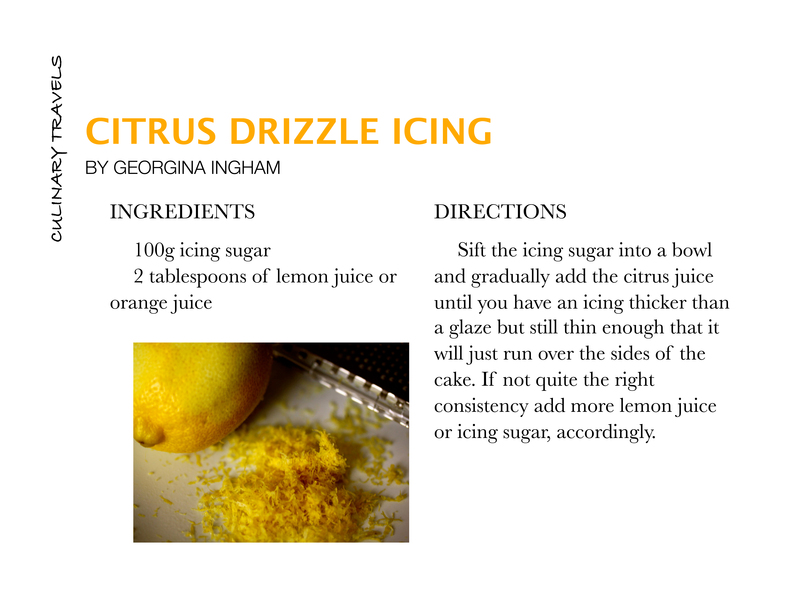 The citrus flavouring is also enhanced in the lemon(or orange) flavoured frosting, made with icing sugar and fruit juice, that dries to a hard crusty glaze. Citrus frosting provides a tangy sweetness that is incredibly pleasing to the palate and turns what is in reality a pretty ordinary cake into something that little bit extra special. All in all very easy cakes to make and very easy to eat too. Just be sure to have friends, family or work colleagues around to help you eat the goods as I am not taking the blame if you overindulge and eat the lot.